With seven manufacturing facilities and over 800 team members worldwide, BW Integrated Systems is an industry leader in the design and manufacture of end-of-line packaging equipment and robotic automation solutions, as well as the execution of integrated packaging systems. A trusted partner for our clients, our service network provides global technical support for a diverse client base that operates in a variety of market segments including: Automotive, Beer and Beverage, Wine and Spirits, Container Manufacturing, Food, Household and Personal Care, Dairy, Paper, Pharmaceutical, Industrial, Consumer Mailing and Collating. Factories and assembly plants are integral parts of our economy. All of the products that we buy from supermarkets or e-commerce websites (with the exception of vegetables and fruits) are made..
BW Integrated Systems is one of nine operating companies within the Barry-Wehmiller family, a leading supplier of engineering consulting and manufacturing technology across a broad spectrum of industries. With more than 12,000 team members spread among 100-plus locations around the globe, we remain united by a common belief: we can use the power of our business to build a better world. 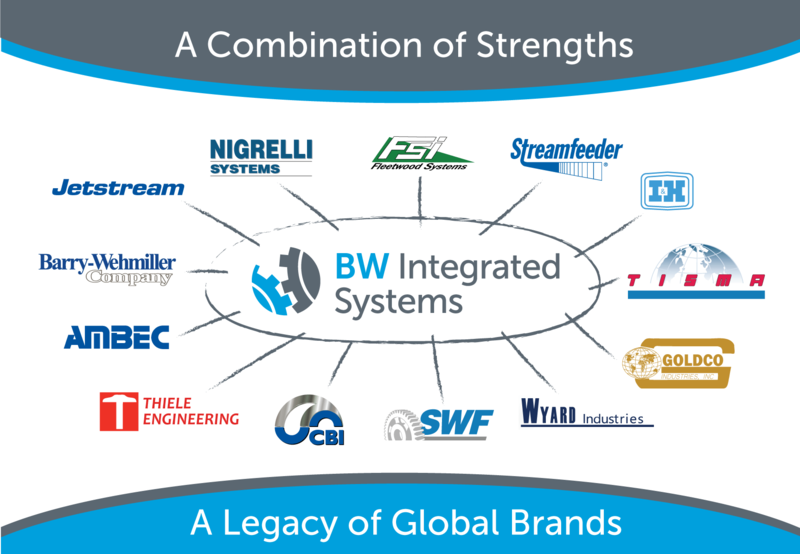 Do you know all of the companies that BW Integrated Systems encompass? The below picture represents a collection of the industries most well-known brands. How did these and the companies that were integrated within their businesses become a part of BW Integrated Systems?